The format of the classes is flexible, but the objective is the same: study the concept of transformation through physicality. It’s generally composed of a technical class (warm-up and sequences) to prepare the body and the mind for the class challenges, and after, Lali works with improvisation based on specific tasks and she directs a personal and choreographic research aiming at discovering new paths for the physicality. 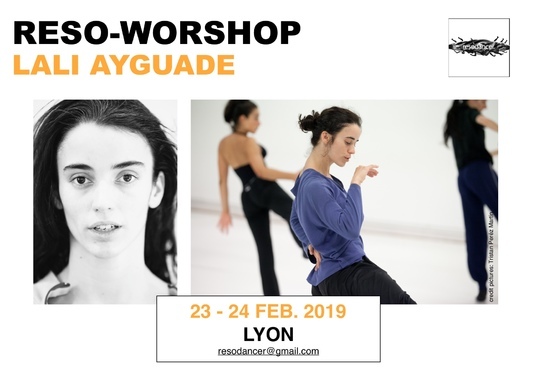 The objective of the workshop is to learn how to use the floor when moving, emphasizing the work on the feet as a base and a support for the movement; identify where the weight is and where to find the freedom in our movements through phrases and improvisations. Also studying rhythm and voice, we investigate how we can reach a theatrical physicality.